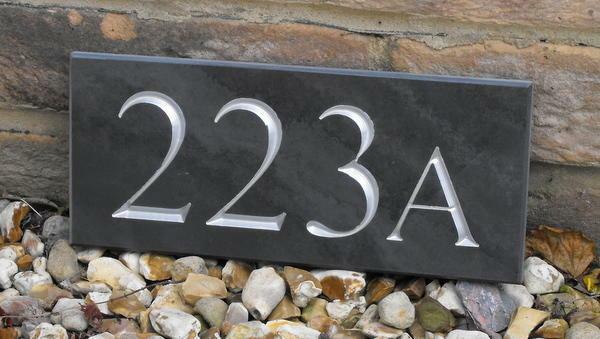 This house number plate is produced in solid honed slate with a deep v-cut engraving. 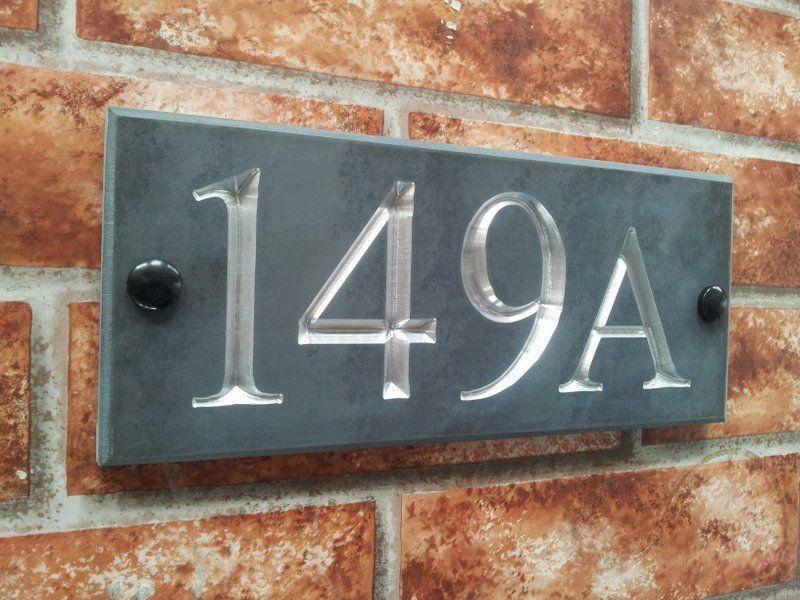 Available in 19 fonts and three different paint inlay colours. Thank you so much for the lovely signs you made for us recently. We are absolutely thrilled. 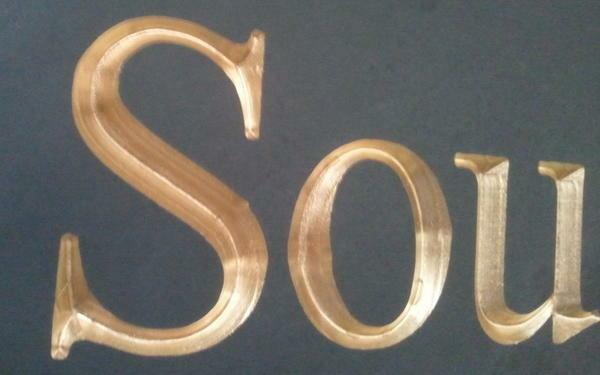 We would definitely recommend your quality service to anyone needing such signs in the future. Just a quick one to say we received the plaques and they look fabulous. Thank you! Another satisfied customer. Excellent quality. Simple to order and Gerry the person I dealt with was great keeping me informed every step of the way. Arrived safe and now up looks great. 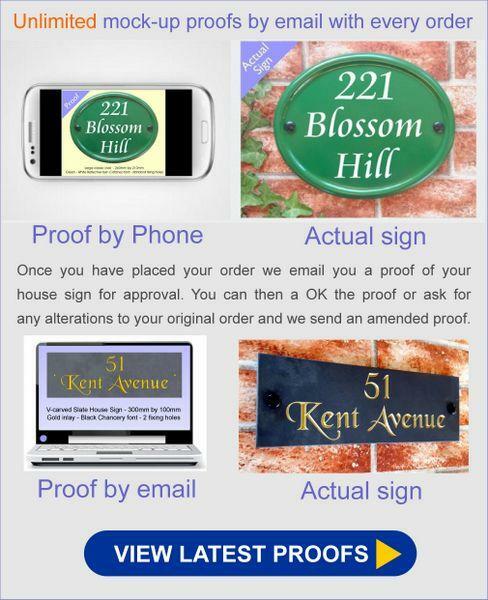 We looked at several options before choosing yoursigns.com. They were the only vendors who made us feel comfortable and confident about the process - as well as being very competitively priced. We also liked the fact that they email you with a mock-up for approval before going ahead. The sign arrived on time and it looks exactly as we expected. We''re delighted with it - and with the entire service. Very pleased with my sign. Great service. 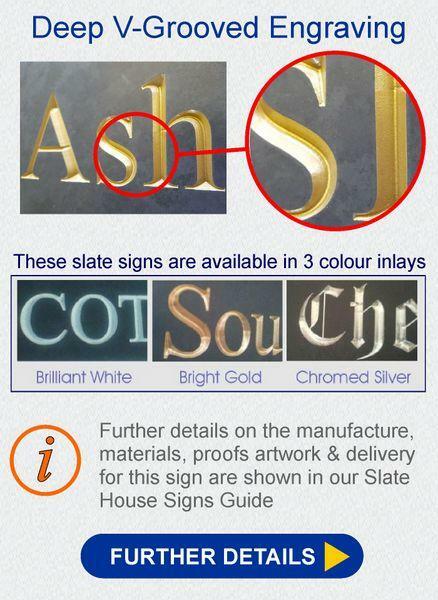 I am delighted with the two signs - the number of the house and the name of the house. 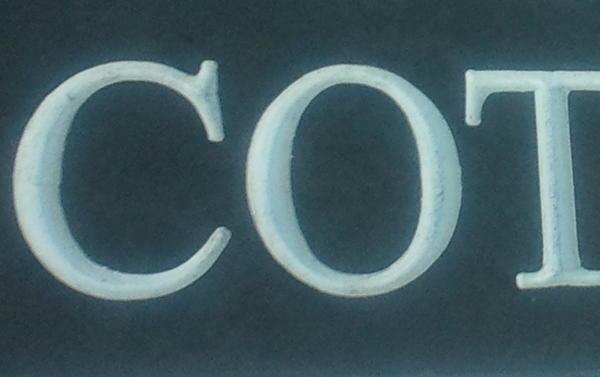 Slate looks really beautiful and I love the white inlay. Superb workmanship. I shall definitely recommend your company to family and friends. Thanks so much!